BRIDGETOWN, Barbados, CMC – Veteran all-rounder Dwayne Bravo has quit all forms of international cricket just eight months before the ICC Cricket World Cup in England, bringing the curtain down on an absorbing career which saw him carve a niche in the shorter formats. The 35-year-old Trinidadian, who also quit Test cricket in 2015, announced his retirement late Wednesday on the eve of the first semi-final of the Regional Super50 between Guyana Jaguars and Jamaica Scorpions at Kensington Oval here. Bravo will feature in today’s second semi-final when his Trinidad and Tobago Red Force take on Combined Campuses and Colleges Marooners. “I want to confirm to the cricket world that I have officially retired from International cricket in all formats of the game,” Bravo said in a statement. “After 14 years when I made my debut for the WI, I still remember that moment I received the maroon cap before walking onto the Lord’s cricket ground against England in July 2004. The enthusiasm and passion I felt then, I have kept with me throughout my career. Despite steering Trinbago Knight Riders to back-to-back titles in the Caribbean Premier League in the last two seasons, Bravo has been repeatedly overlooked for international duty in the shortest format. And his campaign in the ongoing Regional Super50 has been less than stellar, with just 69 runs and seven wickets in five outings, putting in doubt any participation in next year’s World Cup. Bravo turned out in 40 Tests for West Indies, scoring 2200 runs at an average of 31, and taking 86 wickets at an average of nearly 40. He made three hundreds and 13 half-centuries. In 164 One-Day Internationals, Bravo garnered 2968 runs at an average of 25 with two hundreds, while picking up 199 wickets at an average of 29. Bravo also played 66 T20 Internationals, making 1142 runs and taking 52 wickets. 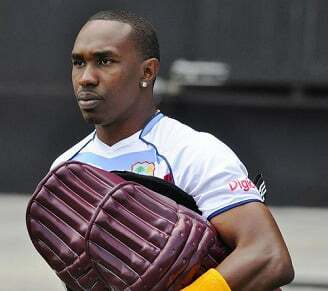 Significantly, Bravo was a member of every title-winning West Indies side over the last two decades. He featured in the final against England when the Windies won the 2004 ICC Champions Trophy, and also starred in the successful 2012 and 2016 T20 World Cup campaigns. He led the Windies in ODIs for 19 months but never played again after being sacked in 2014 and also dropped from the squad, following his pivotal role in the controversial abandoned tour of India earlier that year, owing to a players pay dispute with CWI. Despite his status as one of the world’s leading T20 stars, Bravo has not played for the Windies in the shortest format since the ill-fated tour against Pakistan two years ago and with selectors moving recently to blood youngsters, was unlikely to ever feature again. A veteran of the lucrative Indian Premier League, Bravo thanked fans and family for their support and pledged to continue his professional career, which has seen him ply his trade in the myriad of T20 tournaments in existence across the globe. “I thank the countless persons who were instrumental to my success, particularly my family and (Queen’s Park Cricket Club) where I developed my skills at an early age. I thank the many loyal fans who continue to support my journey and who recognise my efforts on and off the field,” he said. “I am extremely fortunate to have a career that has taken me across the globe into the most prestigious dressing rooms sharing experiences with all the recent Legends of this glorious game. Overall, Bravo has played 410 T20s, scoring 5984 runs and taking a record 447 wickets.